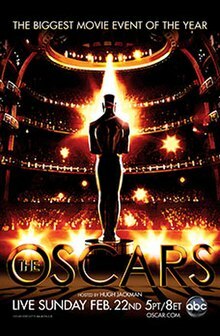 The 81st Academy Awards ceremony, presented by the Academy of Motion Picture Arts and Sciences (AMPAS), honored the best films of 2008 and took place on February 22, 2009, at the Kodak Theatre in Hollywood, Los Angeles beginning at 5:30 p.m. PST / 8:30 p.m. EST. During the ceremony, the Academy of Motion Picture Arts and Sciences presented Academy Awards (commonly referred to as Oscars) in 24 categories. The ceremony was televised in the United States by ABC, and was produced by Bill Condon and Laurence Mark and directed by Roger Goodman. Actor Hugh Jackman hosted the show for the first time. Two weeks earlier in a ceremony at the Beverly Wilshire Hotel in Beverly Hills, California held on February 7, the Academy Awards for Technical Achievement were presented by host Jessica Biel. 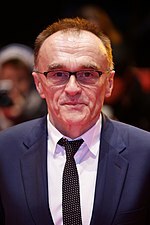 Slumdog Millionaire won eight awards, the most of the evening, including Best Picture and Best Director for Danny Boyle. Other winners were The Curious Case of Benjamin Button with three awards, The Dark Knight and Milk with two awards, and Departures, The Duchess, La Maison en Petits Cubes, Man on Wire, The Reader, Smile Pinki, Toyland, Vicky Cristina Barcelona, and WALL-E with one. The telecast garnered almost 37 million viewers in the United States. The nominees for the 81st Academy Awards were announced on January 22, 2009, at 5:38 p.m. PST (13:38 UTC) at the Samuel Goldwyn Theater in Beverly Hills, California, by Sid Ganis, president of the Academy, and the actor Forest Whitaker. The Curious Case of Benjamin Button received the most nominations with thirteen (the ninth film to garner that many nominations); Slumdog Millionaire came in second with ten. 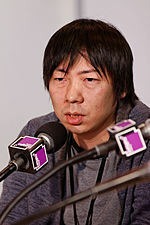 The winners were announced during the awards ceremony on February 22, 2009. Slumdog Millionaire was the eleventh film, and last to date, to win Best Picture without any acting nominations. 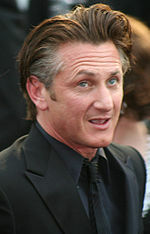 Sean Penn became the ninth person to win Best Lead Actor twice. Best Supporting Actor winner Heath Ledger became the second performer to win a posthumous acting Oscar. The first actor to receive this distinction was Peter Finch who posthumously won Best Actor for Network two months after his death in January 1977. With its six nominations, WALL-E tied with 1991's Beauty and the Beast as the most nominated animated film in Oscar history. Michael Shannon – Revolutionary Road as John Givings Jr.
"O Saya" from Slumdog Millionaire – Music and Lyrics by A. R. Rahman and M.I.A. "Lady Marmalade" from Moulin Rouge! "Mamma Mia" from Mamma Mia! Due to the declining viewership of the recent Academy Awards ceremonies, AMPAS had contracted an entirely new production team in an attempt to revive interest surrounding both the awards and festivities. In September 2008, the Academy selected producers Bill Condon and Laurence Mark to co-produce the telecast. Nearly three months later, actor Hugh Jackman, who had previously emceed three consecutive Tony Awards ceremonies between 2003 and 2005, was chosen as host of the 2009 gala. Jackman expressed his anticipation of the awards in the few days preceding, and had commented that he was thrilled with preparations for the ceremony. Several other people participated in the production of the ceremony. Chris Harrison hosted "Road to the Oscars", a weekly behind-the-scenes video blog on the Oscar ceremony website. David Rockwell designed a new set and stage design for the ceremony. Film historian and author Robert Osborne greeted guests entering the festivities at the Hollywood and Highland Center. Film director Judd Apatow filmed a comedy montage which featured Seth Rogen and James Franco reprising their roles from Pineapple Express. Director Baz Luhrmann produced a song and dance number saluting movie musicals. Peter Gabriel, who was originally scheduled to perform his nominated song "Down to Earth" from WALL-E during the live broadcast, declined to perform after learning that he would be allowed to sing only 65 seconds of the song during the ceremony's Best Original Song nominee performances. Gabriel still attended the ceremony but singer John Legend, backed by the Soweto Gospel Choir, performed the song in place of Gabriel. During rehearsals, Mark and Condon compared Jackman to P. T. Barnum. After Jackman expressed interest in a Barnum project, Mark and Condon approached Jenny Bicks, a writer for the ceremony. She and Condon wrote The Greatest Showman starring Jackman. Shortly after the voting polls were closed for the awards, a purported list of winners was posted online. 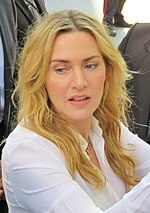 The list, which bore a purported signature from Academy president Sid Ganis, stated that Mickey Rourke won for Best Actor, Kate Winslet won for Best Actress, Amy Adams won for Best Supporting Actress, Heath Ledger won for Best Supporting Actor, and Slumdog Millionaire won for Best Picture. AMPAS spokeswoman Leslie Unger later revealed that the list was "a complete fraud", and that PricewaterhouseCoopers had just begun to count the ballots. The show received a mixed reception from media publications. The review aggregator Rotten Tomatoes gave the show a 64% approval rating, with an average rating of 7/10, based on 11 reviews. The site's consensus reads, "Hugh Jackman acquits himself as an Oscars host with his trademark showman flair during a ceremony that goes to great lengths to liven up the formula -- although some of the innovations only serve to highlight how easily the production can teeter into cumbersome spectacle." Some media outlets received the broadcast more positively. Television critic Robert Bianco of USA Today gave Jackman an average review but extolled producers Condon and Mark saying that the broadcast felt "faster and more intimate without sacrificing Hollywood glamour." 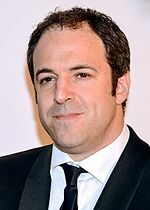 Vanity Fair columnist Julian Sancton gave high marks for Jackman's hosting performance stating "After several years of glamour-deflating wisecracks from blasé hosts like Jon Stewart, Ellen DeGeneres, and Steve Martin, the new producers hired an M.C. who was willing to break a sweat." Film critic Roger Ebert lauded Jackman's performance noting that he "would be a charmer as host, and he was." Of the show itself, Ebert added, "It was the best Oscar show I've ever seen, and I've seen plenty." Other media outlets were more critical of the show. 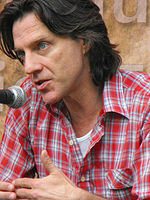 Los Angeles Times columnist Mary McNamara was thought Jackman's performance "obliterated all memory" of David Letterman's hosting the ceremony in 1995, which was widely panned.Time television critic James Poniewozik wrote that Jackman was "charming and game and I bet he absolutely killed in the room. But he didn’t really project beyond the room, nor did he much seem to be trying to." He also noted that while there were some entertaining moments, "the broadcast overall had problems of pacing." Maureen Ryan of the Chicago Tribune remarked, "The whole thing was driven by a manic desire to bring some old-school glamor to the proceedings." She added that the long introductions praising the acting nominees slowed down the proceedings. The American telecast on ABC drew in an average of 36.94 million people over its length, which was a 13% increase from the record lows of the previous year's ceremony. An estimated, 68.48 million total viewers watched all or part of the awards. The show also drew higher Nielsen ratings compared to the previous ceremony, with 20.88% of households watching over a 32.44 share. In addition, the program scored a 12.43 rating over a 30.61 share among the 18–49 demographic, which was a 13 percent increase. In July 2009, the ceremony presentation received ten nominations at the 61st Primetime Emmys. Two months later, the ceremony won four awards including Outstanding Choreography (Rob Ashford), Outstanding Original Music and Lyrics (Hugh Jackman Opening Number: William Ross, John Kimbrough, Dan Harmon, Rob Schrab, Ben Schwartz), Outstanding Short Form Picture Editing, (Best Motion Picture Montage: Kyle Cooper, Hal Honigsberg), and Outstanding Sound Mixing for a Variety Or Music Series Or Special. The annual In Memoriam tribute was presented by actress Queen Latifah. She performed the song "I'll Be Seeing You" during the segment. 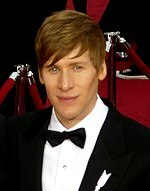 A^ :Following talks with his family in Australia, the Academy determined that Ledger's daughter, Matilda Rose Ledger, would own the award. However, due to Matilda's age, she will not gain full ownership of the statuette until her eighteenth birthday in 2023. Until that time, her mother, actress Michelle Williams, will hold the statuette in trust for Matilda. Ledger's family attended the ceremony. His parents and sister accepted the award on stage on his behalf. ^ Moore, Roger; Hal Boedeker; Dewyane Bevil (December 13, 2008). "Hugh Jackman is tapped to host Oscars telecast". Orlando Sentinel. Tribune Publishing. Archived from the original on October 30, 2013. Retrieved June 5, 2013. ^ Eng, Joyce (February 11, 2009). "Tim Gunn, Robin Roberts to Host ABC Oscar Pre-Show". Variety. Penske Media Corporation. Archived from the original on April 2, 2015. Retrieved June 5, 2013. ^ Cohen, Sandy (September 24, 2008). "Oscars tap Mark, Condon to oversee telecast". USA Today. Gannett Company. Archived from the original on November 1, 2013. Retrieved June 5, 2013. 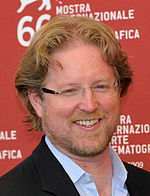 ^ "Roger Goodman Named Director for 81st Academy Awards". Academy of Motion Picture Arts and Sciences. AMPAS. October 24, 2008. Archived from the original on January 17, 2010. Retrieved January 2, 2009. ^ Lowry, Brian (February 22, 2009). "Review: "The 81st annual Academy Awards – From the Couch"". Variety. Penske Media Corporation. Archived from the original on July 24, 2013. Retrieved May 28, 2013. ^ Seidman, Robert (February 24, 2009). "Academy Awards American Idol and The Mentalist lead broadcast viewing". TVbytheNumbers. Tribune Media. Archived from the original on February 26, 2009. Retrieved February 27, 2009. ^ Vena, Joyce (December 12, 2008). "Hugh Jackman Will Host The 2009 Oscars, Academy Confirms". MTV. Viacom Media Networks. Archived from the original on October 20, 2013. Retrieved June 5, 2013. ^ O'Neil, Tom (February 3, 2009). "Jessica Biel emcees sci-tech Oscars". Los Angeles Times. Tribune Publishing. Archived from the original on March 8, 2013. Retrieved June 5, 2013. ^ Leopold, Todd (February 22, 2009). "'Slumdog' makes history, sweeps Oscars". CNN. Time Warner. Archived from the original on October 15, 2013. Retrieved June 6, 2013. ^ Horn, John (February 23, 2009). "'Slumdog' strikes it rich with 8 Oscar wins". Los Angeles Times. Tribune Publishing. Archived from the original on October 22, 2013. Retrieved June 6, 2013. ^ Vancheri, Barbara (February 23, 2009). "Top Dog: Passage to India proves golden for Mumbai fairy tale". Pittsburgh Post-Gazette. Block Communications. Archived from the original on October 14, 2013. Retrieved June 6, 2013. ^ a b "Forest Whitaker to Join Academy President Sid Ganis for Oscar Nominations". Academy of Motion Picture Arts and Sciences. January 20, 2009. Archived from the original on January 23, 2009. Retrieved January 21, 2009. ^ a b O'Neil, Tom (January 22, 2009). "Oscar nominations: Fascinating facts, figures and milestones". Los Angeles Times. Tribune Publishing. Archived from the original on October 4, 2013. Retrieved June 5, 2013. ^ "Academy Award winners and nominees". CNN. Time Warner. February 22, 2009. Archived from the original on February 24, 2009. Retrieved February 22, 2009. ^ Eng, Joyce (February 20, 2009). "Oscars: Who Will Win and Who Will Surprise?". TV Guide. Archived from the original on May 25, 2009. Retrieved May 24, 2009. ^ a b Johnson, Reed (February 23, 2009). "For Heath Ledger, a bittersweet salute". Los Angeles Times. Tribune Publishing. Archived from the original on June 7, 2013. Retrieved June 5, 2013. ^ "The 81st Academy Awards (2009) Nominees and Winners". Academy of Motion Picture Arts and Sciences. AMPAS. Archived from the original on November 10, 2014. Retrieved November 20, 2011. ^ Braxton, Greg (February 23, 2009). "The Jean Hersholt Humanitarian Award: Jerry Lewis". Los Angeles Times. Tribune Publishing. Archived from the original on November 5, 2013. Retrieved June 16, 2013. ^ Finke, Nikki (February 22, 2009). "Live-Snarking 2009 Academy Awards: Oscars Slumming, Show Stumbling". Deadline Hollywood. Penske Media Corporation. Archived from the original on October 2, 2013. Retrieved June 5, 2013. ^ Smith, Neil (February 21, 2009). "Surprises expected at Oscar gala". BBC News. BBC. Archived from the original on February 24, 2009. Retrieved February 22, 2009. ^ Rose, Adam (February 26, 2009). "Trojan's cementing reputation as Hollywood's band". Los Angeles Times. Tribune Publishing. Archived from the original on March 4, 2009. Retrieved March 4, 2009. ^ King, Susan (September 24, 2008). "Laurence Mark, Bill Condon to produce Oscars". Los Angeles Times. Tribune Publishing. Archived from the original on November 6, 2013. Retrieved June 5, 2013. ^ "Hugh Jackman To Host Oscars". CBS News. CBS Corporation. December 12, 2008. Archived from the original on April 2, 2015. Retrieved June 5, 2013. ^ Escherich, Katie (February 20, 2009). "Hugh Jackman on Hosting Oscars: 'A Night of Celebration'". ABC News. The Walt Disney Company. Archived from the original on October 31, 2013. Retrieved June 5, 2013. ^ Schwartz, Miisy (January 28, 2009). "Hugh Jackman: Oscars' Sexiest Host?". Entertainment Weekly. Time Warner. Archived from the original on November 2, 2013. Retrieved June 6, 2013. ^ Breznican, Anthony (February 19, 2009). "The Oscar 11: Team aims to revive awards' telecast". USA Today. Gannett Company. Archived from the original on February 22, 2009. Retrieved February 20, 2009. ^ "I'm with the band! Oscars stage design revealed". NBC News. NBCUniversal. February 20, 2009. Archived from the original on October 31, 2013. Retrieved June 5, 2013. ^ Clark, Mike (February 23, 2009). "Oscar showtime: This year vs. others". USA Today. Gannett Company. Archived from the original on October 31, 2013. Retrieved June 6, 2013. ^ Gray, Timothy M.; Cynthia Littleton (October 8, 2008). "Film ads to run during Oscar telecast". Variety. Penske Media Corporation. Archived from the original on December 10, 2008. Retrieved February 22, 2009. ^ Davis, Erik (February 23, 2009). "2009 Academy Awards Best and Worst Recap". Moviefone. AOL. Archived from the original on October 31, 2013. Retrieved June 7, 2013. ^ Gelman, Vlada (February 18, 2009). "Oscar.com Announces Web Shows". TelevisionWeek. Crain Communications. Retrieved February 22, 2009. ^ Brown, Patricia Leigh (February 12, 2009). "The Little Gold Man in a New Blue World". The New York Times. The New York Times Company. Archived from the original on July 17, 2016. Retrieved June 5, 2013. ^ "Robert Osborne to Greet Celebrities on Oscar's Red Carpet". Academy of Motion Picture Arts and Sciences. AMPAS. February 17, 2009. Archived from the original on June 1, 2013. Retrieved June 5, 2013. ^ Eng, Joyce (February 23, 2009). "Top Oscar Moments: Tears for a Joker, Million-Dollar Babies and More". TV Guide. Archived from the original on November 2, 2013. Retrieved June 5, 2013. ^ Sutherland, Ben (February 23, 2009). "Jackman on song at his first Oscars". BBC News. BBC. Archived from the original on September 30, 2013. Retrieved June 5, 2013. ^ Breznican, Anthony (February 13, 2009). "Peter Gabriel won't perform at Oscars". USA Today. Gannett Company. Archived from the original on October 31, 2013. Retrieved June 5, 2013. ^ Donahue, Ann (February 23, 2009). "'Slumdog Millionaire' Sweeps Music Oscars". Billboard. Prometheus Global Media. Archived from the original on June 30, 2013. Retrieved June 5, 2013. ^ Corliss, Richard (February 12, 2009). "How the Oscars Became the Emmys". Time. Time Warner. Archived from the original on July 24, 2013. Retrieved June 5, 2013. ^ Cieply, Michael (June 24, 2009). "Academy Expands Best-Picture Pool to 10". The New York Times. The New York Times Company. Archived from the original on July 17, 2013. Retrieved June 5, 2013. ^ a b Eller, Claudia (February 23, 2009). "'Benjamin Button's' Oscar nominations may not pay off for Paramount". Los Angeles Times. Tribune Publishing. Archived from the original on October 22, 2013. Retrieved June 5, 2013. ^ a b "2008 Academy Award Nominations and Winner for Best Picture". Box Office Mojo. Amazon.com. Archived from the original on May 10, 2013. Retrieved May 15, 2013. ^ a b "2008 Oscar nominations and wins by movie". Box Office Mojo. Amazon.com. Archived from the original on January 25, 2009. Retrieved June 5, 2013. ^ Carlson, Nicholas (February 21, 2009). "Leaked List Of Oscar Winners Is Fake". Business Insiser. Archived from the original on April 24, 2013. Retrieved June 5, 2013. ^ Finn, Natalie (February 19, 2009). "Leaked Oscar-Winner List Is a "Complete Fraud"". E!. NBCUniversal. Archived from the original on February 23, 2009. Retrieved February 19, 2009. ^ "The Academy Awards: 81st Oscars (2009)". Rotten Tomatoes. Archived from the original on April 4, 2019. Retrieved April 4, 2019. ^ Bianco, Robert (February 23, 2009). "For this Oscar show, intimacy, glamour share the stage". USA Today. Gannett Company. Archived from the original on November 2, 2013. Retrieved June 6, 2013. ^ Sancton, Julian (February 23, 2009). "Book Hugh Jackman For the Next Ten Years, Oscars". Vanity Fair. Condé Nast Publications. Archived from the original on July 15, 2013. Retrieved June 6, 2013. ^ Ebert, Roger (February 23, 2009). "The Oscars are Outsourced". Chicago Sun-Times. Sun Times Media Group. Archived from the original on February 25, 2009. Retrieved February 24, 2009. ^ McNamara, Mary (February 23, 2009). "The Oscars show itself was puttin' on the fritz". Los Angeles Times. Tribune Publishing. Archived from the original on January 21, 2016. ^ Poniewozik, James (February 23, 2009). "The Morning After: Oscar's Old Song and Dance". Time. Time Warner. Archived from the original on November 4, 2013. ^ Ryan, Maureen (February 23, 2009). "New format, host are unable to rescue a plodding telecast". Chicago Tribune. Tribune Publishing. Archived from the original on November 2, 2013. ^ Seidman, Robert (February 24, 2009). "Top ABC Primetime Shows week of February 16–22, 2009". TVbytheNumbers. Zap2it. Archived from the original on October 25, 2012. Retrieved November 28, 2011. ^ Adelian, Josef (February 24, 2009). "Oscar TV Ratings: Beter, But Not Good". TV Line. Penske Media Corporation. Archived from the original on April 2, 2015. Retrieved November 28, 2011. ^ a b "81st Academy Awards averages 36.3 million up 4.2 million from last year". Zap2it. February 23, 2009. Archived from the original on November 3, 2013. Retrieved November 28, 2011. ^ "Primetime Emmy Award Database". Academy of Television Arts and Sciences. ATAS. Archived from the original on June 6, 2013. Retrieved June 6, 2013. ^ "Complete List of Winners From the 2009 Emmy Awards". E!. NBCUniversal. September 13, 2009. Archived from the original on November 3, 2013. Retrieved June 5, 2013. ^ O'Neil, Tom (September 21, 2009). "Who's really surprised? Oscars upstage Justin Timberlake at the Emmys". Los Angeles Times. Tribune Publishing. Archived from the original on November 6, 2013. Retrieved June 5, 2013. ^ Malkin, Marc (February 9, 2009). "The Queen Will Reign on Oscar Night". E!. NBCUniversal. Archived from the original on November 2, 2013. Retrieved June 5, 2013. ^ Lo, Ricky (February 24, 2009). "And the Oscar goes to..." The Philippine Star. Archived from the original on November 3, 2013. Retrieved June 5, 2013. ^ Pond, Steve (February 18, 2009). "If Ledger Wins, Oscar Goes To Daughter". CBS News. CBS Corporation. Archived from the original on February 1, 2015. Retrieved June 7, 2013. ^ Gornstein, Leslie (February 19, 2009). "Why Can't Li'l Matilda Have Heath's (Potential) Oscar?". E!. NBCUniversal. Archived from the original on November 3, 2013. Retrieved June 7, 2013. Wikimedia Commons has media related to 81st Academy Awards.